For over 160 years, Saron's most vibrant seasons have come when we were focused on creating a bright future for those who would come after us. With that in mind, in 2018 our Pastors challenged us to "do it again." After all, both of them were called into ministry because folks at Saron invested in them 25 years ago. Their way of communicating what this looked like was to point to the blockbuster trilogy Back To The Future, where we see events impacted by actions taken 30 years before and see their impact 30 years after. 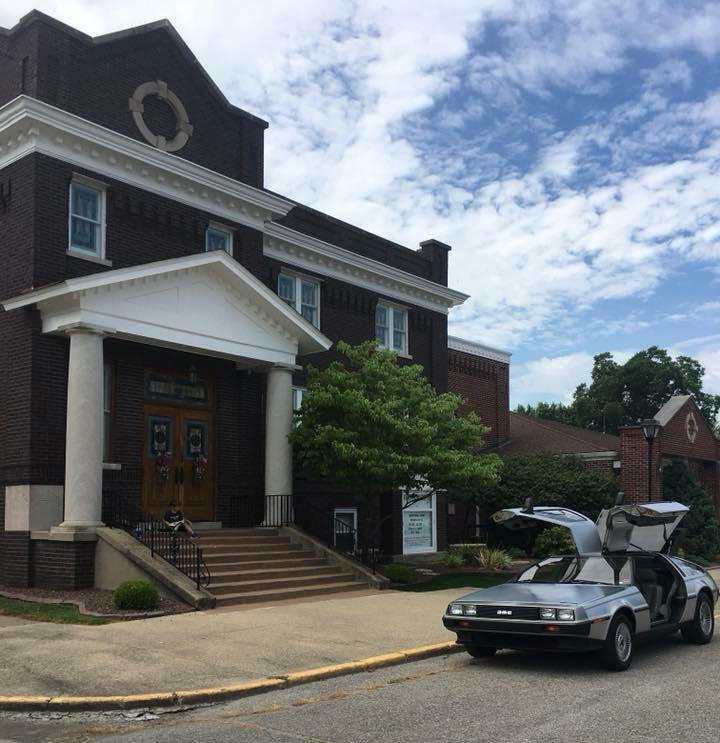 What would Saron, Linton, Greene County look like in another 25 or 30 years if we invested our time and energy in creating programs, providing ministry, and focusing on mission that served not only those present now (of all ages) but also those who would come to find our church in the years ahead? Thinking about the future helps to focus the present. So we have spent a ton of time upgrading what we offer for kids and youth. We now have a full roster of folks who make sure we have two adults in the Nursery each Sunday for babies up to age 3, a devoted and excited Children's Ministry Team that is transforming our ministry to kids Preschool age through 5th grade, and a team of adults who are living life alongside of our middle school and high school youth. These are all things that Saron has done for a long time and did well for much of that time, but we have renewed our focus on them so that our future is bright. And this thinking isn't only important to the ministry and work we do with young people. Saron has adults who are engaged in ministry here from age 19 to 91 (no, literally) and everywhere between. We want to create experiences for adults to continue to grow as well, to continue to be discipled and impart that wisdom by discipling, and we want to offer mission opportunities that serve the future by utilizing the resources and experiences of all generations. Which is why our mission statement (just below) is so strong and a part of why we say it each week to close our service. There is no age limit on who can do any of things we say we are called to do; and no age limit on who we want to engage when we do them. Our efforts are to ensure that our mission at Saron is fulfilled today so that there are more folks here to fulfill it tomorrow.